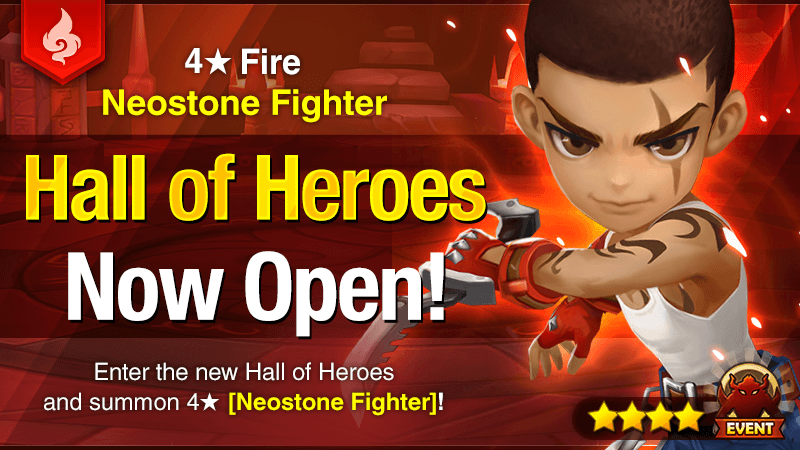 This time, the 4★ [Neostone Fighter] with Fire Attribute will be awaiting you at the Hall of Heroes! Clear the dungeon to summon [Neostone Fighter]! - Clear the Hall of Heroes and gather Summoning Pieces to summon 4★ [Neostone Fighter] (Fire).